The 2019 World Junior Championships have truly been entertaining so far this year. From dominating performances such as the 14-0 by Canada over Denmark and Slovakia’s 11-2 win over Kazakhstan. Valiant comeback efforts such as the United States scoring four unanswered goals in the final ten minutes to force overtime versus Sweden. And of course, the feel-good stories like the support of the underdogs – Team Kazakhstan as every shot, save, and goal were met with loud, roaring cheers. The Boston Bruins, like many NHL teams, are well represented in the tournament. Jakub Lauko and Daniel Bukac on the Czech Republic, Jack Studnicka on Canada, Kyle Keyser on the States, Pavel Shen on Team Russia, and the addition of Urho Vaakanainen just before the tournament to Team Finland. Not only are these players playing in the tournament, but they are playing a crucial role for their respective countries. As one of the favourites to win the gold medal when the under-20 tournament concludes, the United States used the four preliminary games to judge who gets the starting role in between the pipes because once the team makes it into the Quarter-Finals, it is not too common to switch goaltenders as you would see in the National Hockey League regular season. Keyser’s teammate, Cayden Primeau, is the other goaltender that is looking to grab that starting role. The Montreal Canadiens’ 2017 seventh-round selection played two games and so did Bruins’ goalie prospect Keyser. Keyser played two games – the 5-4 OT loss to the Swedes and the 2-1 win over Slovakia on Boxing Day. Keyser’s 1-1-0 record alongside his 0.87 save percentage and 2.95 goals-against-average is ranked as the second-worst for goaltenders heading into the Quarter-Finals. Only Switzerland goalie, Akira Schmid has worse statistics so far in the World Juniors. It is fair to note that the five goals he allowed versus Sweden drastically impacted those numbers. Against the Swedes, Keyser made many solid saves off of poor plays by his defensemen. The Swedish players had numerous 2-on-1s that were stopped by Keyser and his saves arguably gave the team the drive to come back and tie the game. KYLE KEYSER! Keyser (@NHLBruins prospect) comes up huge to make the big penalty shot save to keep the USA lead intact! With that said, Team USA announced that Cayden Primeau, the other American goaltender, will get the start in the crease for the United States in their Quarter-Final game against the Czech Republic. Yesterday, Head Coach Mike Hastings said it was a coin toss as to who will get the starting role as both goalies earned it, but clearly, he decided to go with the Canadiens prospect due to his strong 4-to-1 win over Finland. Drafted 77th overall (3rd Round) by the Boston Bruins in the 2018 NHL Entry Draft, forward Jakub Lauko has had a successful season with the Rouyn-Noranda Huskies of the Quebec Major Junior Hockey League (QMJHL), scoring 12-14-26 totals in 26 games this season before being called to the World Juniors. While at the U20 World Junior Championships, Lauko has one goal and one assist in four preliminary games. The 18-year-old forward scored his lone goal of the tournament in the 4-0 win over Denmark on New Year’s Eve. The tally ended up being the game-winning goal for the Czechs. Lauko also helped out in the opening game of the tournament, recording his only assist thus far on the overtime-winning goal against Switzerland. Lauko has been good on the other end of the ice too. In the same game as his assist versus the Swiss, Lauko made a great defensive block on a 2-on-1 that kept the game tied around the midway point through the third period of play. Without that Lauko block, the Swiss may take a 2-1 lead and may end up winning the hockey game. Only one team in the World Juniors this year has two Bruins prospects on its roster – the Czech Republic and it seems more and more that the Bruins like having Czech players when you look at David Pastrnak and David Krejci on the full-time Boston roster up in the NHL. As with the already-mentioned Jakub Lauko on the forward core, the Czechs have 6-foot-5, 209-pound defenceman Daniel Bukac on their blueline as well. The Bruins drafted Bukac with their seventh-round selection in the 2017 NHL Draft. The former player in the Western Hockey League joined the Niagara Ice Dogs of the Ontario Hockey League in the 2018 CHL Import Draft. Bukac is not known as an offensive defenceman by a stretch of the imagination. With his big frame, he is a solid shutdown defender on the back end and that was mentioned by the Ice Dogs General Manager, Joey Burke, when they added Bukac to their roster. Bukac has six points (two goals, four assists), in twenty-four games with the Ice Dogs before going to the WJC. Bukac has one assist in the World Juniors, against Denmark, when he assisted on the fourth and final Czech goal in the 4-0 win. Bukac has also been one of the top penalty-killers for the Czech Republic, who has a third-best 85.71% success rate on the penalty-kill. Bukac, Lauko, and the Czech Republic battle Kyle Keyser and the United States in today’s quarterfinal. Coming off a concussion that he suffered during his brief tenure in the National Hockey League, the eighteenth-overall draft pick in 2017 by the Boston Bruins joined his national country of Finland for the World Juniors. Due to his NHL experience earlier in the year, Finland knew that they had to play Vaakanainen in a top role on the defensive core due to the lack of experience on the rest of the team. For the majority of the preliminary games, Vaakanainen played in the most minutes over all of the other Finnish players. Dawning the “A” on his sweater, Vaakanainen also added two assists in the four games – in a 5-1 win over Slovakia on December 29th and assisted on the only goal by Finland in the 4-1 loss to the United States. Below are some scouting reports on the Finnish defenseman. Urho Vaakanainen and Team Finland will play Jack Studnicka and the Canadians in the second quarterfinal of the day. Before the tournament started, many analysts covering the competition said that Jack Studnicka was the best player in the pre-tournament events including the multiple games that Canada played in. While Studnicka did not play at the high-scoring level that say, a Maxime Comtois on Team Canada has, but he has been key on the Canadian power-play, even though it has struggled. Studnicka played right in front of the opposing net on that man-advantage, in a position called the “bumper spot”. Someone else who is great in that spot on the ice on the Bruins, a guy by the name of Patrice Bergeron. Studnicka is currently on a point-per-game status, scoring four points in four games. Three of those points are assists, but he did add a goal back on December 26th in the 14-0 Boxing Day shutout over Denmark. Jack continues to be one of the better players on Canada’s bottom-nine forward core. The Bruins drafted Studnicka in the second-round, fifty-third overall in the 2017 NHL Draft. He is currently playing in the Ontario Hockey League with the Oshawa Generals, where he had 12-21-33 totals in 29 games before being sent to Vancouver/Victoria for the World Juniors. The final prospect of the Bruins to be listed and he just happens to be on the team who took the first place in Group A, after a narrow victory over Canada on New Year’s Eve. Shen has played a big part in Russia’s success in the tournament so far. Shen is currently tied for second on the team in points with four points in four games. In the December 31st game against Canada, a game between two undefeated countries and that would decide who wins Group A, Pavel Shen had a game that put himself on the hockey map. The Russian drafted in the 7th Round back in this past draft scored the game-winning goal late in regulation off of a nice zone entry, drive to the net and a goal past DiPietro of Canada. Shen’s goal-scoring talent has been shown in the past, such as when he scored three goals and one assist in six games during the CIBC Canada/Russia Series, where the top Russian prospects play the best CHL players in the three different leagues (WHL, OHL, QMJHL). Shen has the ability to score and he can do it well. Many have said that Shen is a sleeper player in the tournament and one of the underrated prospects in the Bruins system. If his development continues the way it has, he very well could make the Providence Bruins and maybe even the Boston Bruins in the near future. Pavel Shen and Russia play Slovakia in the Quarterfinals tonight. When the Boston Bruins signed David Backes to a five-year, $30 million deal during the 2016 NHL Offseason, it was met with mixed reviews. There is no question that the former Blues’ captain was expected to be a top-six forward for the team. He had been one of the best power forwards in the league for a number of years at that time. 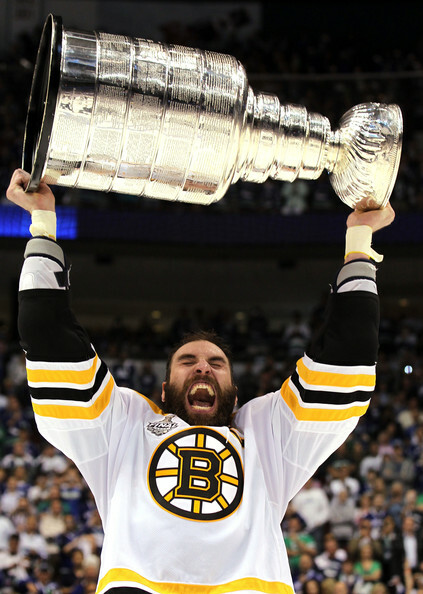 However, many analysts felt that the term on the deal would end up hurting the Bruins. As we are now in the 2018-19 season, it is now time for us to be a bit worried that this may end up being the case. It is absolutely clear that the veteran has struggled this season so far. He has been held pointless in 12 games and already had another concussion scare this season. Injuries have definitely been hitting him frequently since he began his tenure with the team, but none more so than with his head. This could likely be what is behind his significant drop in production this season, as he received another concussion during the postseason last year. It is also clear that last season he had a decent amount of success playing on the third line. With 33 points in 57 games, it is fair to state that he was providing the team with some very solid secondary scoring. Although the numbers did not necessarily replicate the $6 million cap hit he possesses, it did show that he was a valuable part of this lineup. So with that being said, it is pretty concerning seeing the extremely cold start he has had this season. One has to wonder if he could turn it around. However, for that to occur, he has to fight his way back up the depth chart. With the promotion given to Jakob Forsbacka Karlsson, Backes now finds himself on the fourth line right wing. This definitely is not ideal for the veteran, as his chances to provide offense are significantly lower playing on this defense-first line. JFK has also noticeably given the third-line better speed up the middle, so Backes is in a pretty rough spot if it translates to more offensive production from that line. Another significant reason behind his drop in production is the loss of Riley Nash. There is absolutely no question that the two worked exceptionally well together. However, with Nash signing with the Columbus Blue Jackets and Danton Heinen occasionally being promoted to the second-line, Backes has been given an array of different linemates all season. In fact, he has been forced to be back at center, a position that he just does fit well in anymore. Playing on the fourth line is just not the best situation for him to be in. Now, with his struggling play, it is justifiable that he is there. Yet, as soon as he finds his game again, he should be given more chances. In fact, with the looming questions in the top-six, perhaps the team should give him a go on the second-line if the lack of scoring continues. Although his speed has clearly gotten slower over the years, David Krejci has had a lot of success playing with power forwards. It is fair to state that everyone in the lineup is rooting for the veteran to improve. Although it may seem unlikely to some, it is possible for him to find his game again. Twelve games without a point is very concerning, but that does not mean that he can never turn it into a hot streak. However, for him to see results, he does need to be given more opportunities to shine. Now is not the time to close the door on Backes completely. He has had a fantastic career up to this point and could easily become a factor in the lineup again under the right circumstances.